JEMAT 2017 Application Form: The JEMAT 2017 registration link is now enabled in the official web portal. The candidates who are wistfully waiting to join a management courses in WB state, are advised to apply for JEMAT 2017. After applied, you have to clear the entrance exam which is conducted on the month of July 2017. To know more details by refer the official notification from under here. Every year, the West Bengal University of Technology/ Maulana Abul Kalam Azad University of Technology has been conducting the state level entrance examination to take admission in Management courses. So they organizing the JEMAT Phase - I & JEMAT Phase - II exam. The JEMAT is like a CAT/ XAT/ MAT/ CMAT entrance exam for admission in MBA/ MHA. The candidates who are all interested to apply for JEMAT 2017, have to find the online application form from any recognized site like our examlevel.com. Before going to apply for JEMAT 2017, read the eligibility criteria carefully. If you full fill the eligibility, then fill and submit the JEMAT Application Form 2017. For further updates regarding JEMAT 2017, read this article fully. The candidates who successfully completed graduation degree or who pursuing final year of graduation, can apply for JEMAT 2017. The clear information regarding the age restriction is available in the official notification of JEMAT 2017. So you are advised to refer the under attached node. The Joint Entrance Management Aptitude Test was held in pen paper mode and the question paper will contain a total of 100 Multiple Choice Questions (MCQs). The total duration of the JEMAT exam is 2 hrs. For every wrong response 0.25 marks will be reduced. The questions will be arranged into three sections such as General English, Mathematics and Logical Reasoning. First the candidates have to log on to the official web portal of the WB Technical University. Then search the link of the JEMAT 2017 application form in the examination section. The applicants have to click on the application form link. 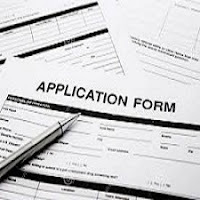 Next fill the application form with your valid data. After completed the uploading & payment process, submit the filled application form. Finally, take a print out of the submitted application form for your future use.